We designed Commun.it to streamline the social media experience, and reduce unnecessary overwhelm. So you’ve decided to try make something of your social media? Congratulations and good luck. This is perhaps the boldest commitment you’ll ever make. And it’s going to take a lot more than caffeine and a serious internet addiction to help you stay the course. Because social media knows no boundaries. Just when you think you’re done for the day, you’ll see another a tweet to reply to or article to share. Social media is relentless and demanding. If you aren’t careful it will eat up the best moments in your day, leaving you with a stale to-do list and insomnia. But it doesn’t have to be that way. We designed Commun.it to streamline the social media experience, and reduce unnecessary overwhelm. Many people waste hours on social media and have very little to show for it. Which is a pity really. We like to approach social media a little differently. Our platform suggests actions you can take daily to improve social media engagement and reach. This can help you hone your social media strategy, and will save you tons of time in the long run. Sounds good, right? The Commun.it algorithm analyses your community and uses this data to make suggestions for the kind of actions you should take. This includes everything from who to follow, unfollow, what posts to share and even who to reply to. What makes our approach to social media unique is that all recommendations are personalized to suit your unique community. There’s nothing cookie-cutter about us. Because when it comes down to it, no two social media users are the same and our algorithm takes that into account. In addition to optimizing your social media activity, we have an array of features which make scheduling social media content simple and hassle-free. This makes it easy to target specific segments of your community such as influencers or high value members. After adding your tweet, you’d simply select the segment you’re targeting, how often you want the tweet sent and we take care of the rest. We also have a Best Time feature which calculates the optimum time to send social media content by taking into account when your community is most active. Ready to start using Commun.it? If you’re thinking of signing up for Commun.it, we’ve got you covered. To help you get started we put together a few pointers to make sure you get the most out of the platform. Because as user-friendly as Commun.it may be, we get that learning a new platform can be a little overwhelming at first. Before we get stuck in, here’s some recommended reading. Think of it as homework. These posts will give you a better sense of what Commun.it is, and what it can do for your social media Happy reading. Now let’s jump in. Here’s what you need to know if you’re new to Commun.it. To get started click the Sign in with Twitter button. If you’re already signed into Twitter, you’ll be asked to authorize the app. If not, you’ll be asked to login to your Twitter account. Once you’ve authorized Commun.it, you’ll be asked to enter your email address. And that’s it! 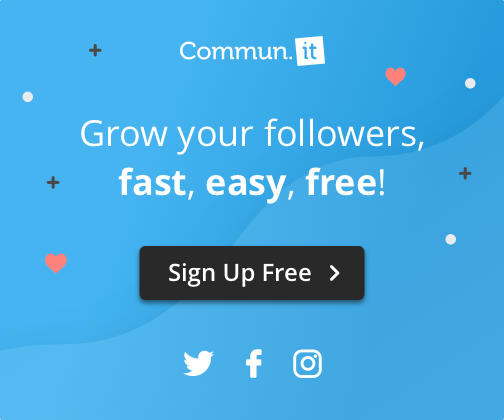 Welcome to Commun.it. The next step is to configure your account. This is an important step as it gives us a sense of your community and what matters most to you. It will also give you an opportunity to set up any campaigns you’d like to start sending. The setup shouldn’t take long. During the setup process, you’ll be asked to add your website or blog as well as any leads you’d like us to track. You also have the option to set up recurring tweets. These are campaigns which are sent to specific segments of your community. You can choose between #FollowFriday, Weekly Thank You and Direct Messages campaigns. To activate a campaign, move the button to display on. Keep in mind that all these settings can be changed from the Commun.it dashboard. So at this stage you don’t need to think too hard about the keywords you’re tracking or campaigns you’re sending. Have a little fun with it. Once you’ve complete this process, Commun.it will use this data as well as an analysis of your current Twitter community to prepare your dashboard. This should only take a few seconds, but may take a bit longer if you have a very big community. Your daily marketing pill is your to-list of simple actions that you should take everyday. We’ve found that people who complete all these actions daily see their followers increase by at least 5%. The to-do list includes things like following, unfollowing and retweeting posts. Every time you complete one of these actions, the list will update to reflect your progress. On the main dashboard, you’ll see the growth widget which highlights key data about your community and social media activity. This will give you a sense of how effective your social media strategy is, and will help you see where you need to focus more attention. This includes Followers Growth, Engagement Activity, Your Activity as well as Social Reach. We get this data by comparing your current social media activity with your activity from three days ago. Under the Schedule tab, you’ll be able to review all the posts you’ve scheduled. You can also schedule posts from here. This dashboard plays an important role in managing and growing your community. By clicking Recurring Posts, you’ll be able to see all the recurring tweet campaigns that are running. You can edit, pause and delete campaigns from here. From Scheduled Posts you can schedule a new post by clicking the Schedule New Post button. You can choose to send this post when you like or can use the Best Time feature which will send the post at the most suitable time. Sent Posts Analytics shows you how every post you’ve send through Commun.it performed. The Best Time Settings tab lets you configure the Best Time feature. Here you can indicate how many posts you plan on sending. You can also specify a time frame for sending posts as well as which days you want to post on. We’ll do the rest. These are just a few Commun.it features that can really up your social media game. Have you tried these features? What are your thoughts on them. Share your experiences in the comments below.